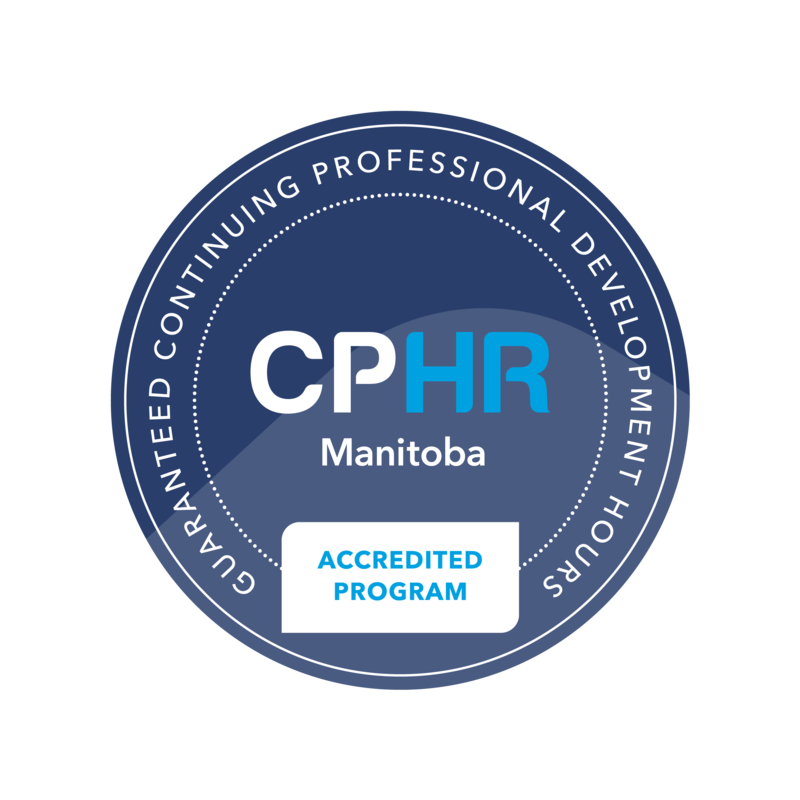 To further support the Continued Professional Development (CPD) needs of our growing population of Chartered Professional in Human Resources (CPHRs), and in recognition of the quality of some of the HR professional development programs offered throughout Manitoba, we are proud to offer the CPHR Accreditation Program. What is the CPHR Accreditation Program? This program provides organizations that deliver HR and strategic business programming the ability to guarantee CPHR Continued Professional Development (CPD) Hours for participants who enrol in their program(s). Eligible professional development programs must be directly in line with the Functional Knowledge Areas and have an established set of standards for quality and consistency in program delivery. Attaching the Accreditation Seal to your instructional program marketing materials communicates that your program has been reviewed and approved to guarantee CPHR CPD Hours. Once your program has been approved, you will pay a yearly fee for a licence and the right to use the Accreditation Seal. Licences are granted for one year and require completion of an annual renewal form. What are the benefits to participating providers? You've probably been asked if your professional development programs are eligible for CPHR CPD Hours. In addition, Accredited programs will also receive a listing on our website in our List of CPHR Accredited Programs that acts as a reference for CPHRs looking for professional development opportunities outside of CPHR Manitoba's offerings. Accredited partners are responsible for sending dates of upcoming programs to be included in our marketing efforts. Accredited programs will have the privilege to further promote their instructional program for a discounted rate of 20% off of the regular fees for a dedicated e-blast. Contact laura@cphrmb.ca for more details. Please note: In order to fill in data fields, save the document and/or send it back to CPHR Manitoba, you will need the Adobe 11 Reader. It is available for download for free at the following links. Please download the upgrade before beginning your application.